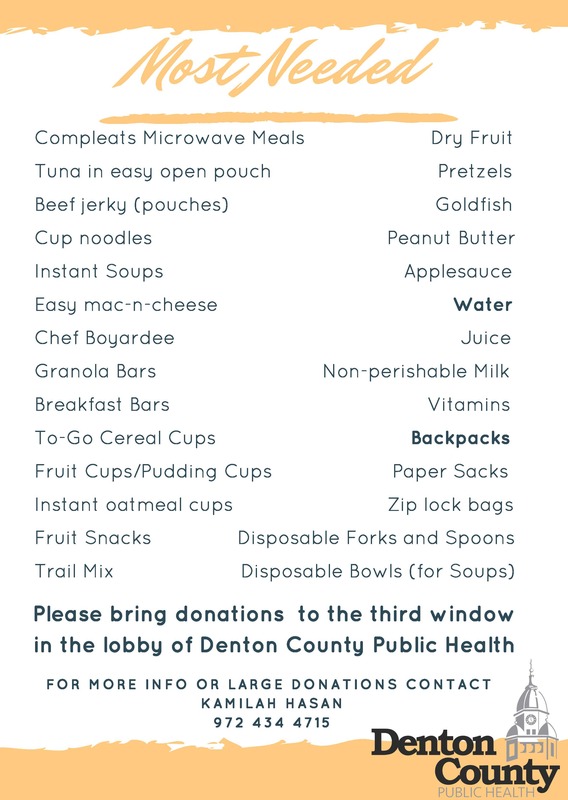 The Denton County Healthy Communities Coalition identified a need for food and inconspicuous ways to transport that food home for a growing number of students in the Denton ISD High Schools. Many of the Communities in Schools staff, school counselors, and teachers have already taken it upon themselves to locate or purchase food stuffs to try to address this need. While there has been approval in 3 of the high schools to start food pantries or spaces to store non-perishable food and other food stuffs, there is still a need for food to fill those spaces. That’s where you can help. 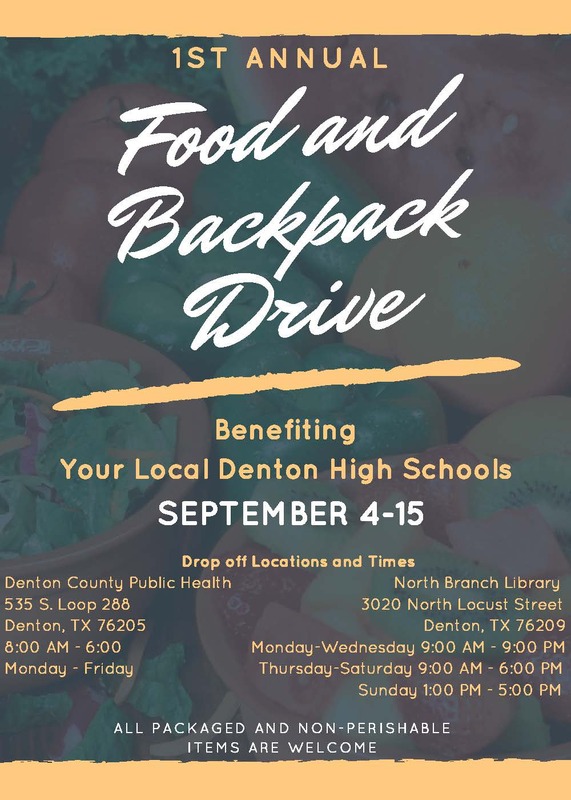 From September 4-15 there will be a collection of non-perishable foods, food containers/flatware, and backpacks to donate to local DISD High Schools to supplement their on campus food pantries. See below for a list of most requested items, drop off locations, and times.